If you are looking for something fun to do in Tucson this weekend, we’ve got you covered! We are participating in Indigo Days hosted by the workshop and event studio, Creative Tribe Workshop. This weekend long event will feature an interactive marketplace where makers across the southwest will come together to showcase their products and host activities so that you can join in on the creativity. Included in your admission are free workshops, panel discussions, beauty services and access to the interactive marketplace. As a participating vendor, we will be hosting a community coloring project, coloring party, and custom button making station. 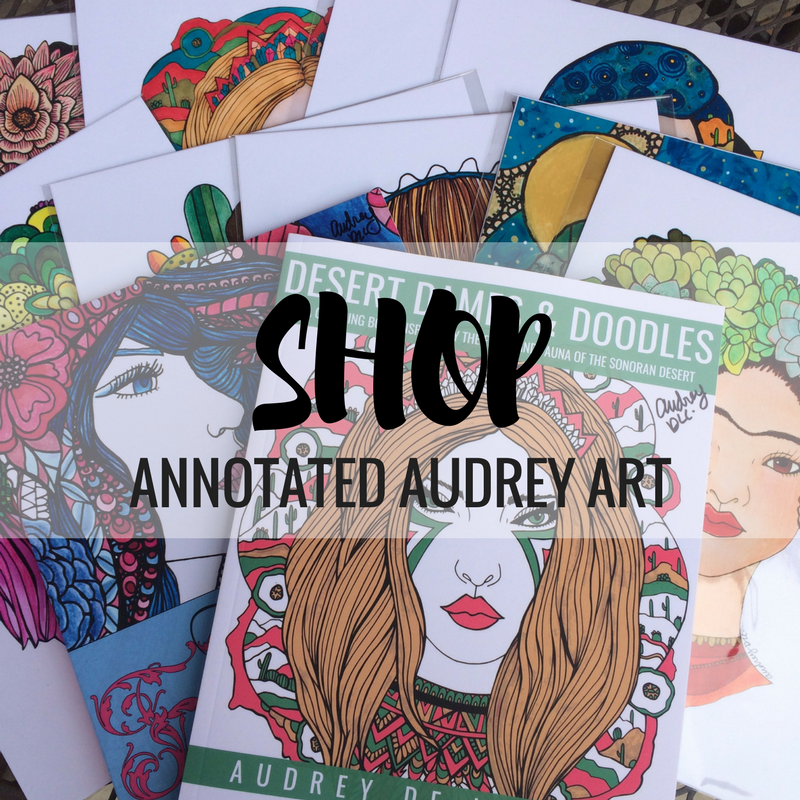 We will also have all of our latest products available, along with limited edition tote bags featuring my Cute Blooming Saguaro design. How: $5 daily admission includes access to the interactive marketplace, beauty services, workshops and panels. Tickets are available for purchase online or at the door. Buy tickets & read more about Indigo Days on The Creative Tribe website. Button Making Station: See how buttons are made and design your own 2.25 inch buttons for $2 each. For more information about this event, and for real time updates, check out the Indigo Days event page on Facebook. Or follow me on Instagram (@annotatedaudrey) where I will be posting event updates, sneak peaks and an awesome-sauce giveaway. As always, thanks so much for taking the time to read this post. I hope to see some of you this weekend!